Make it Work- Crafting with your leftovers! | Occasionally Crafty: Make it Work- Crafting with your leftovers! Make it Work- Crafting with your leftovers! Welcome to our first Make it Work party! I know I'm not the only one who has lots of leftover craft supplies just laying around, so let's do what we do best and craft it into something beautiful! Valentine's day is drawing near and I really wanted to make a wreath, so when I saw my leftover wreath form just hanging in my craft room I knew I was going to Make it Work! 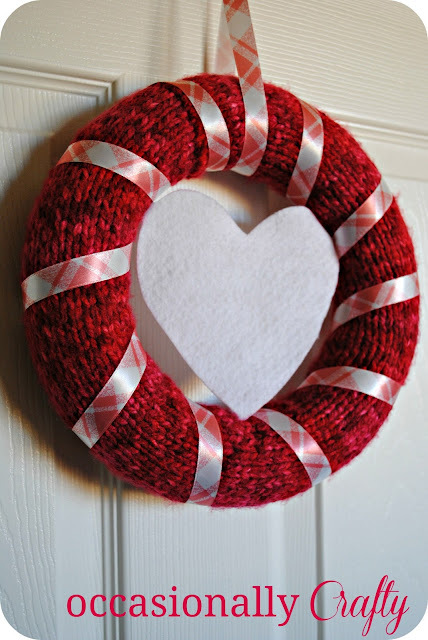 I drew from my yarn stash, ribbon stash and felt stash to make this super cute Knit Valentine's Day wreath! 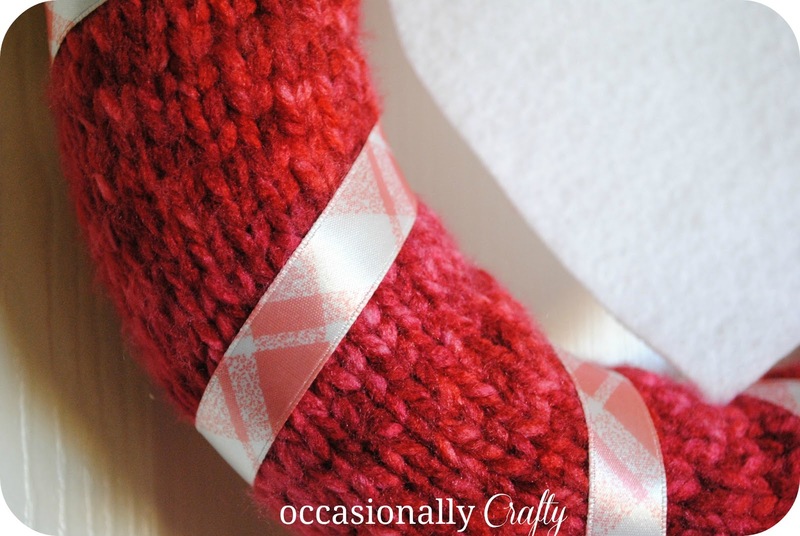 Here's a close up of the knit pattern, which was basically like knitting a scarf and wrapping it around a wreath form. If you want the specific pattern go ahead and comment and I'll get it to you. Now we want to see what you can make from your leftovers! Search through your archives or get to work on a free project and share the link on our FB page (make sure you've gone over and liked us) or in the comments and we'll re-share them throughout the day! We'll do this once a month so don't worry if you can't 'make it work' this time!